Drinking alcohol has always been an inevitable part of the humankind. From the earliest age of human presence on this planet, celebrations and feasts could not go without the participation of Mr. Alcohol. However, there was a significant difference compared to the present situation – women did not drink. Before women’s emancipation process, women’s two main concerns were home and children. However, with the confirmation of women’s rights, women started taking more and more responsibility on their back. So, today women still take care of children and home in the majority of households and, in addition to that, they also work. Knowing that, we might ask ourselves whether this emancipation process has really helped women be freer and more relaxed or it has added only more pressure on their back. With the development of female emancipation, together with the fact that they started receiving their own salaries, women have become a special form of market. And here is the perfect combination for liqueur manufacturers – newly established rights and salaries for women who have become new spenders. Due to that, today alcohol production industry aims at women with numerous products. Many drinks are made to be consumed by women. They have more attractive labels and more sophisticated taste. Women have become equal in that part of life, too. But do they process alcohol the same way as men or does it affect them in a more harmful way? While it is clear that modern women do need a glass or two of beer or wine or even a stronger drink from time to time to kill or at least put to sleep the neurosis of everyday obligations, women should be careful because alcohol does affect women’s health in a different way and might also harm their children. However equal and same these two genders might be, women are more vulnerable to alcohol. First of all, female bodies are in general tinier than men’s bodies. Due to that, the same amount of alcohol drunk by a woman and by a man will affect them in a different way. Of course, the age, body mass and alcohol tolerance should be taken into consideration, but the mainstream context gives these results. Also, women have smaller organs in general. Women’s liver needs more time to process larger amounts of alcohol and that can lead to heavy liver damage. Apart from that, women’s genes are different than men’s and women who drink a lot of alcohol in their youth might have severe problems when being pregnant. 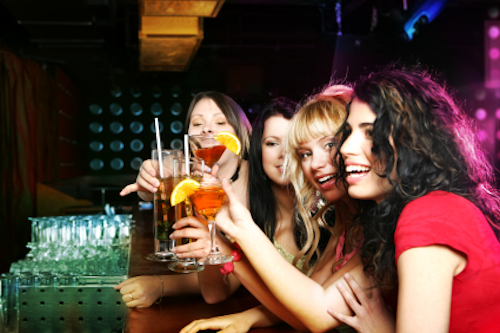 Aside from these physical problems, women need to be careful about drinking because of social relationships, too. When women are tipsy, they become more relaxed, which is the most natural and normal reaction. However, they might behave freely in a sexual way, too, by flirting, just have fun. Their signals and reactions might be misunderstood and they could put themselves at risk. Researchers have proven that there is a link between sexual assaults and alcohol. Alcohol increases men’s aggression and women’s relaxation. Such a combination can lead to a terrible outcome, which is why women should be extremely careful when drinking. If you already are in a normal relationship, the most comfortable way of enjoying alcohol is sharing a glass or bottle of a mild alcoholic drink with your partner, when watching a movie or having dinner. The same can be done with friends, too. You will get relaxed and avoid any potential dangers of the outer world.